audience’s listening to their eyes, for an unparalleled ethereal experience. immersive dreamscapes that make up their first full album. is hard not to vibe along to, despite a background in indie-rock music. PPLA: Who’s your favorite artist – dead or alive? artist or band… Did I effectively dodge the question? Yes? Great! PPLA: What is your favorite instrument and why? RP: BASS!!! It’s the straw that stirs the drink. PPLA: Three things you do to have fun or simply calm down? PPLA: What is it that makes Former Faces a unique experience? Hopefully our authenticity is apparent in our music, videos, artwork and performances. Everything we’ve created thus far is uniquely us. 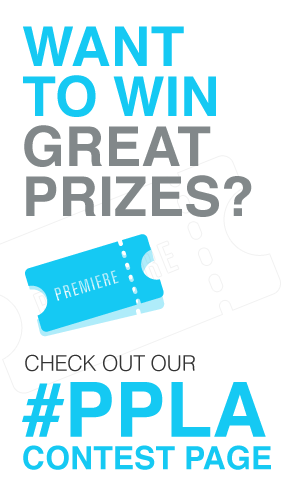 PPLA: Where do you see your career in five years? in this game for the long haul and plan on releasing a ton of music. has changed and evolved over time. confidence gained from it and are heading right back into the studio! Exhaustion. I equate it to singing in front of a bunch of strangers who are staring at you. those songs for the first time? incredibly liberating. It brought them and a new part of me to life. PPLA: What is one song you cannot stop listening to right now? RP: This past week I’ve listened to: Once in a Lifetime at least a dozen times. PPLA: Describe the ambiance of your latest album, Foreign Nature. Does it tell a story? upon first…or even many listens? RP: Yes – the voices in my head. PPLA: What’s your favorite venue to perform at and why? be there on March 26th! PPLA: If your band was a movie what would it be called?